Natural Star Nani is going to be seen in a new movie that will be directed by Cinema Chupista Mava director N. Trinatha Rao. This movie is going to be produced by Dil Raju and according to our sources, the movie may roll after May. 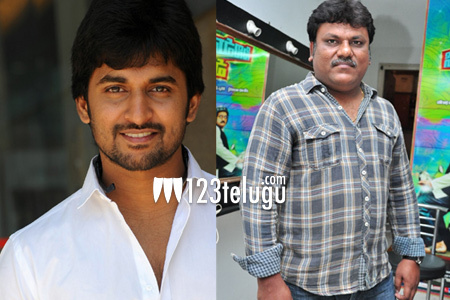 The film is in pre-production mode right now and Nani is said to be quite happy with the story. As for the director, Trinatha Rao is pinning his hopes on this movie. Though Cinema Chupistha Mama did very well, the director did not get much mileage out of this and he is hoping that this film will change that. Other cast and crew details are still not clear. An official announcement could come after a few weeks.